Barrick Gold Corporation GOLD is set to release fourth-quarter 2018 results on Feb 13, before the opening bell. In the last reported quarter, the gold mining giant delivered positive earnings surprise of 33.3%. The company’s adjusted earnings came in at 8 cents per share that beat the Zacks Consensus Estimate of 6 cents. Revenues fell around 8% year over year to $1,837 million. Nevertheless, the figure surpassed the consensus mark of $1,809.3 million. 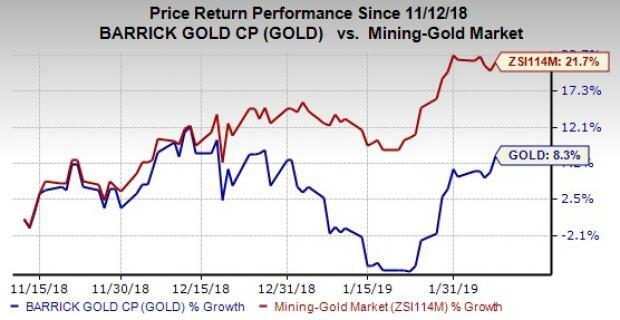 Notably, Barrick beat the Zacks Consensus Estimate in two of the trailing four quarters, the average being 0.4%. The stock has moved up 8.3% in the past three months compared with the industry’s 21.7% rise. Will the company surprise investors again this quarter or is it heading for a possible pullback? Let’s see how things are shaping up for this announcement. In January 2019, the company released preliminary production results for fourth-quarter and 2018. According to preliminary results, gold production and sales for the fourth quarter came in at 1.26 million ounces and 1.23 million ounces, respectively. Average market price for gold in the fourth quarter was $1,226 per ounce. Copper production and sales aggregated 109 million pounds each and average market price for copper was $2.80 per pound. Per Barrick, Gold production for 2018 came in at 4.53 million ounces. Notably, the figure is within the company’s previous guidance of 4.5-5 million ounces. 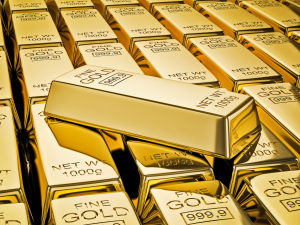 Total gold sales were 4.54 million ounces. The Zacks Consensus Estimate for fourth-quarter consolidated revenues is currently pegged at $1,938 million, marking an expected decline of 13% year over year. Barrick expects cost of sales per ounce for gold for fourth quarter to be roughly 15-17% higher sequentially. Per the company, this is the result of a non-cash inventory impairment on Lagunas Norte’s long-term stockpiles. Also, cash costs per ounce are likely to be in line with third-quarter’s tally. All-in sustaining costs (AISC) per ounce are expected to be around 3-5% higher sequentially. 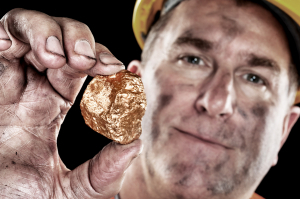 Investors should note that the preliminary figures released by the company exclude production and sales from Randgold. The merger between Barrick and Randgold is effective Jan 1, 2019. Randgold’s production and sales prior to the merger is not attributable to Barrick in the fourth quarter. Earnings ESP: Earnings ESP for Barrick is -14.74%. This is because the Most Accurate Estimate and the Zacks Consensus Estimate are currently at 5 cents and 6 cents, respectively. You can uncover the best stocks to buy or sell before they’re reported with our Earnings ESP Filter. Zacks Rank: Barrick currently carries a Zacks Rank #3, which when combined with a negative ESP, makes surprise prediction difficult. You can see the complete list of today’s Zacks #1 Rank stocks here. 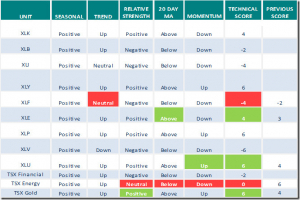 Note that we caution against stocks with a Zacks Rank #4 (Sell) or #5 (Strong Sell) going into the earnings announcement, especially when the company is seeing negative estimate revisions. Eldorado Gold Corp. EGO has an Earnings ESP of +9.48% and carries a Zacks Rank #3. 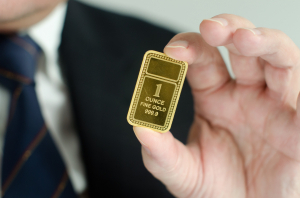 New Gold Inc. NGD has an Earnings ESP of +100.00% and carries a Zacks Rank #3. 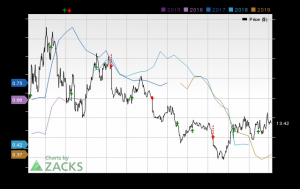 Hecla Mining Co. HL has an Earnings ESP of +14.29% and carries a Zacks Rank #3.